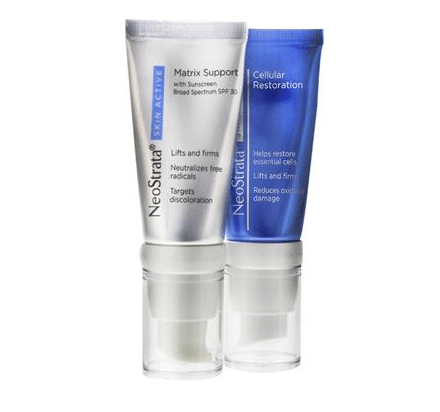 NeoStrata Skin Active AM/PM Antiaging Duo is formulated to synergistically correct all visible signs of aging for a lifted, firmer, younger look. This daily duo combines powerful, clinically proven ingredients that work synergistically to help reverse all visible signs of aging including fine lines, wrinkles, discoloration, sagging skin, and free radical damage. Experience why NeoStrata is the professional skin care brand physicians worldwide recommend the most. Recommended by dermatologists and plastic surgeons alike in over 60 countries, NeoStrata Professional products are uniquely formulated with Alpha hydroxy acids (AHA) and Poly hydroxy acids (PHA) to enhance both therapeutic and skin care treatments. These patented AHA's and PHA's improve the appearance of aging or sun-damaged skin and treat a variety of dermatological conditions including acne, dry skin, hyperkeratosis and hyperpigmentation. NeoStrata offers a range of products for the face and body with unique concentrations of AHA and pHA ingredients as well as combinations with sunscreens, lightening and anti-acne agents. The appropriate therapy can be matched to any skin type or condition. NeoStrata products are dermatologist and allergy tested, fragrance free, dye free, packaged in recyclable containers and are not tested on animals. Discover the dermatology developed skin care collections recommended and highly regarded by skin care experts around the world. NeoStrata Company, Inc. located in Princeton, NJ, develops and markets a comprehensive range of clinically-proven, dermatologist developed skin care brands. Our advanced therapeutic and cosmetic dermatological products feature unsurpassed Polyhydroxy Acid technology to meet the needs of every skin type and are available at www.Beauty-Addict.com. 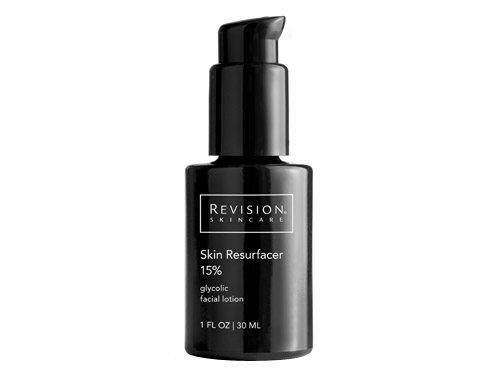 Skin Active Cellular Restoration: Aqua (Water), Glyceryl Stearate, Glycolic Acid, Maltobionic Acid, Gluconolactone, Butyrospermum Parkii (Shea) Butter, Isononyl Isononanoate, Glycerin, Butylene Glycol, Stearyl Alcohol, Hydrogenated Polydecene, Arginine, Cyclopentasiloxane, PEG-100 Stearate, Dimethicone, Ammonium Hydroxide, Propylene Glycol, Cetyl Alcohol, Cyclohexasiloxane, Palmitoyl Oligopeptide, Palmitoyl Tetrapeptide-7, Tocopheryl (Vitamin E) Acetate, Malus Domestica Fruit Cell Culture Extract, Vitis Vinifera (Grape) Seed Extract, Euterpe Oleracea (Acai) Fruit Extract, Punica Granatum (Pomegranate) Extract, Vaccinium Angustifolium (Blueberry) Fruit Juice, Rosa Damascena Flower Oil, Methyldihydrojasmonate, Ethylene Brassylate, Caprylyl Glycol, Lecithin, PEG-75 Stearate, Steareth-20, Ceteth-20, Triethyl Citrate, Xanthan Gum, Magnesium Aluminum Silicate, Pentaerythrityl Tetra-Di-T-Butyl Hydroxyhydrocinnamate, Sodium Bisulfite, Disodium EDTA, Chlorphenesin, Phenoxyethanol, Caramel, CI 19140 (Yellow 5). Skin Active Matrix Support SPF 30: Active ingredients: Butyl Methoxydibenzoylmethane (Avobenzone) 3.0%, Ethylhexyl Methoxycinnamate (Octinoxate) 7.5%, Ethylhexyl Salicylate (Octisalate) 5.0%, Homosalate 5.0%. Inactive ingredients: Aqua (Water), Acetyl Glucosamine, Butyloctyl Salicylate, Glyceryl Stearate, Butylene Glycol, Butyrospermum Parkii (Shea Butter), Dimethicone, Cetearyl Alcohol, PEG-100 Stearate, Nylon-12, Triacontanyl PVP, Retinol, Tocopheryl (Vitamin E) Acetate, Palmitoyl Oligopeptide, Palmitoyl Tetrapeptide-7, Punica Granatum (Pomegranate) Extract, Coffea Arabica Fruit (Coffee Bush Berry) Extract, Rosa Damascena Flower Oil, Arginine, Glycerin, Propylene Glycol, Caprylyl Glycol, Citric Acid, Disodium EDTA, BHT, PEG-40 Stearate, Ceteareth-20, Polysorbate 20, Triethyl Citrate, Xanthan Gum, Methyl Dihydrojasmonate, Ethylene Brassylate, Chlorphenesin, Phenoxyethanol, CI 19140 (Yellow 5), CI 17200 (Red 33). Skin Active Cellular Restoration: Apply to the face and neck following cleansing and any other treatment product. Daily use of sunscreen or sun avoidance is recommended with use of this alpha hydroxyacid (AHA) product and for one week after, to minimize the risk of sun sensitivity/sunburn. Skin Active Matrix Support SPF 30: Apply to face and neck daily after cleansing. Apply more sunscreen as needed for prolonged outdoor activities.